When you have a business, product descriptions do matter and make a difference in an online shopper’s purchasing decision. One company actually saw a dramatic 84% increase in its traffic in just one month after hiring freelancers to write new product descriptions for their site. To increase sales, there needs to be more of a focus on product content and making your product pages more sales driven to reduce the bounce rate. The product descriptions will also effectively boost your SEO in the process as well. When writing the titles for each product, you don’t want something too drab and generalized. You want to make the titles eye-catching and appealing to the shopper. The title is the first thing the shopper will see, so it needs to be good to engage them. Another mistake to avoid is skimping on the description. It should explain what the product is, what it does, and how it can help solve a problem your potential customer may be having. When doing this, consider who the buyer is and the tone and language they use. You then need to talk about the benefits of the product and tell the potential customer how it could make them feel. Don’t just focus on the specifications of the product. You want to create that emotional connection. You are selling an experience – not a product. Consumer searches are also important when it comes to getting the traffic to your site. The meta contains the keywords and phrases that customers are actively searching for. Google will respond better when these terms are used. As customers look at your products, read your descriptions, and ask questions, you need to be ready with the answers. Make sure you have all the information they will need regarding the specifics including dimensions, sizes, return processes and anything else that would concern a buyer. 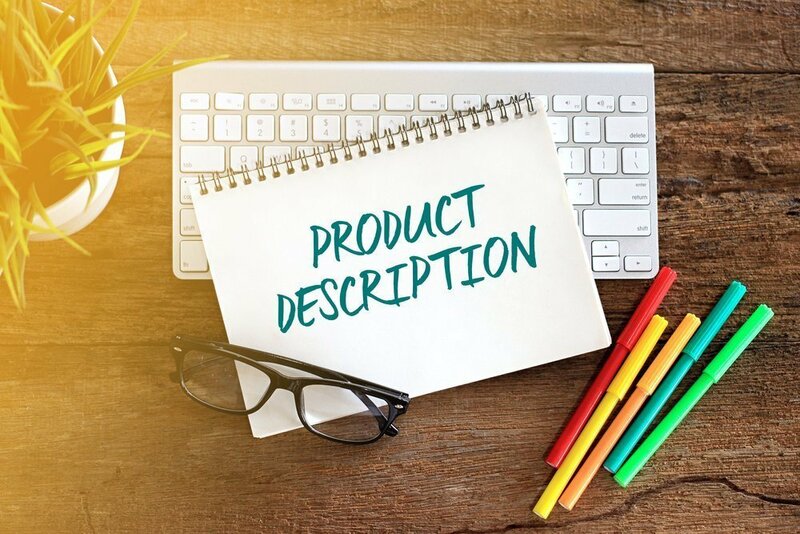 Creating amazing content and detailed product descriptions will enhance a customer’s buying journey and get you the traffic and sales you need.